A ten month training for professional singers and other theatrical professionals in a Master Class (small group) format. The class meets four hours weekly for 25 weeks. Starting in May 2014: A ten month training for professional singers in a Master Class (small group) format. The class will meet once a month for two or three complete days. A ten month training for professional singers in a Master Class (small group) format. The class meets once a month for two or three complete days. 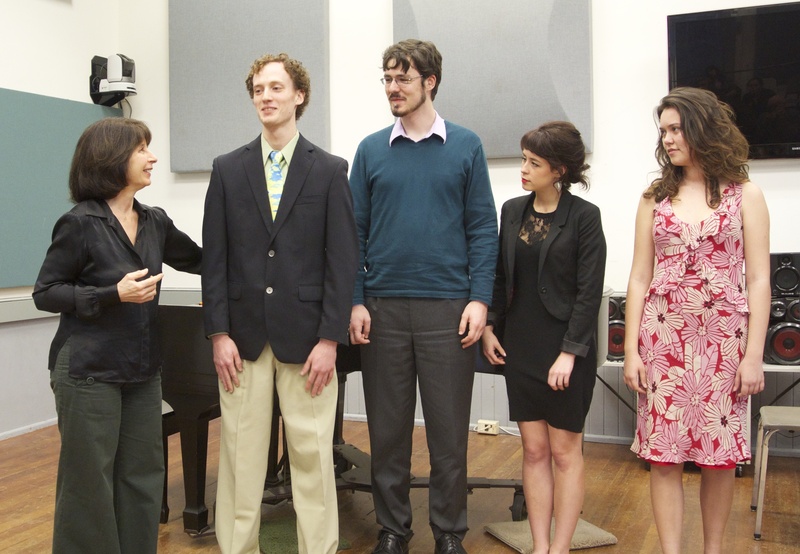 Four day Master Class for the voice students of Hilda Harris. Residency for the School of the Arts Including a Master Class for the Voice Students, a choral workshop, a workshop for the conducting students, and an inter-departmental lecture.